Most reading this will never have heard of a man called Absalom Erickson. He was Born in Valestrand, Norway on 22 Oct 1845. Absolom married Marie Nikkulsdotter and had a child. Absalom passed away on 17 Feb 1928 in Black River Falls, Wisconsin, USA. What few will know is that young Absalom fought for the Union Army and somehow survived not only the Wilderness Campaign but also the brutal battle of Shiloh fought on April 6-7, 1862. 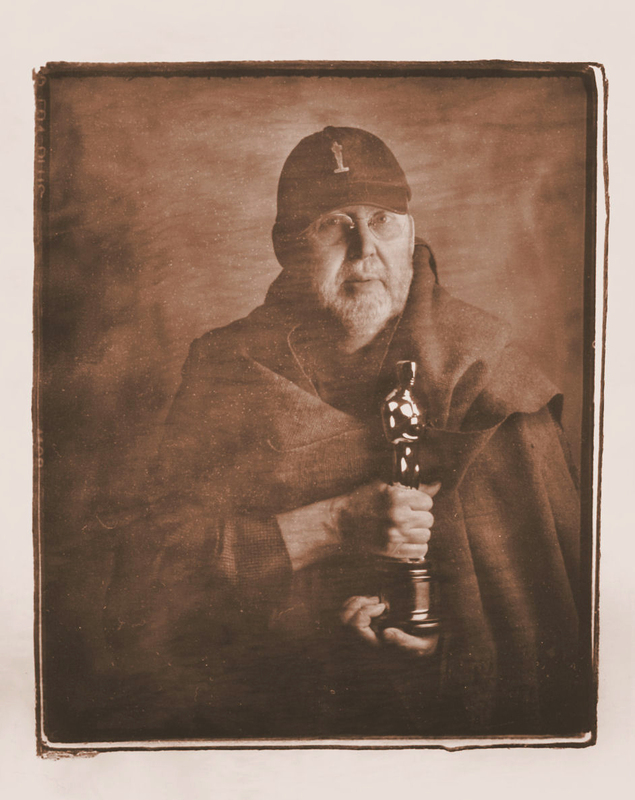 Recently I photographed Salt Spring resident Jim Erickson who won an Oscar for set decoration of Spielberg’s Lincoln. I had not seen Erickson since sometime around 1979 when both of us worked under free-lance status at the CBC. For anybody who has seen Lincoln it is patently obvious that whoever did the set decoration (Erickson and his team) was into the smallest of details. When Erickson came to my house earlier this week he showed great interest in all the old stuff I have and asked me questions about the wall paneling and how old my home was. He even remarked that the preliminary Fuji Instant film photograph that I took of him was reminiscent of the wet plates and tintypes of U.S. Civil War soldiers. He leafed through some of my books featuring photographs of soldiers of the Civil War and I was astounded that he seemed to recognize some of them and even knew their first names. Most would guess that Erickson did an enormous amount of research for Lincoln. I think otherwise. I asked him about the glass plates that Lincoln’s young son was obsessed about. I asked about the photographer John Gardner who had taken those pictures. There was something about Erickson’s answer that made it seem to me that they had met. Erickson forgot his truck keys inside but with a coat hanger wire he fished them out in a record time that would have amazed the best of the car thieves. Erickson seems to be most mechanically inclined but eschews computers and all ancillary stuff. I think otherwise. Erickson has a keen mind and I am sure that a simple computer would not test it in the least. I have heard rumours that near the Lincoln set Erickson had a tent to which he prevented anybody from entering. While I normally do not believe in this sort of thing I suspect that Jim Erickson is not Jim, while Erickson is certainly his surname. I believe that in that tent Absalom Erickson appeared using one of those often written about time warps. Are they just fiction? I am not too sure. Absalom was careful to dress correctly as he left the tent. But in the modern clothes that Erickson wore for my portrait he arranged his clothing and the cape surely in a manner of a soldier of the Union Army who would have worn it to battle not only Johnny Reb but the elements and the rain of the Wilderness Campaign. Could it be that Salt Spring Island is home for the last living veteran of the American Civil War?